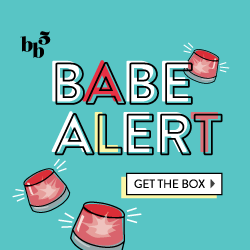 Allure and BeautyBar.com just released a spoiler for the October 2014 Sample Society box! If you haven’t seen past reviews, Sample Society is a subscription box which offers five deluxe-size beauty samples of skin, hair, makeup and fragrance product. Plus, you get a $10 BeautyBar.com gift card to redeem on any $50 Beauty Bar purchase every month. So, SPOILER ALERT: Every subscriber will receive a Bobbi Brown Smokey Eye Mascara in their October 2014 Sample Society box. This is a bold, black, creamy kohl-pigmented mascara which aims to build volume lash by lash, to give you a wide-eyed, daring look. Or, see past Sample Society boxes here!